Amazon CEO and Washington Post owner Jeff Bezos on Thursday called President Donald Trump's criticism of journalists "dangerous," saying he will consistently stick up for the role of media in democracy. Bezos, whose companies are a frequent target of Trump's criticism, didn't mention Trump by name but assailed the president's attacks on the media, according to USAToday. 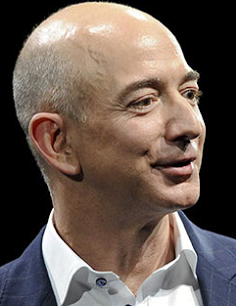 "It is a mistake for any elected official, in my opinion — I don’t think this is a very out-there opinion — to attack media and journalists," he told interviewer David Rubenstein in an on-stage interview at the Economic Club of Washington, D.C.
Rubenstein asked Bezos whether he's discussed Bezos' criticism directly with the president.